I always have a soft spot for indie-related things, though sometimes they are too clever for my small brain to understand. When I spotted Individualist Ms. Ji Young in VIU’s now-playing list, I found myself drawn into this 2-episode drama right away. And the two hours I spent watching it were one of the best two hours in my entire life. Na Ji Young (Min Hyo Rin) is an individualist who believes doing everything individually is better than doing it with others. Byuk Soo (Gong Myung) is an outgoing individual who believes every person in this world need love from others to survive. Ji Young and Byuk Soo out of the blue spent a Christmas night together and starting to have feelings for each other. I love Individualist Ms. Ji Young. I hope it will be more than just a two-episode drama. Though it might look simple and light, the drama actually carries heavy message. From my perspective, the drama taught how to stay true not only to others but to yourself. I love how the writer decided to create an anomalous female lead character. A character that successfully made me hates and pities her at the same time. Ji Young character is something I can relate with. I like this type of character because it gave a different glance of female lead character that usually seems too perfect or too messed up. Ji Young character is just right. She is not too perfect, but not too messed up either. She feels normal (to me). I can feel that this type of character does exist in real life. And Min Hyo Rin is living this character flawlessly. I can’t imagine other actress who can nail this character as fine as Min Hyo Rin did. In the same vein, I would like to say that the casting in this short-drama is very spot-on. Just like Min Hyo Rin, I, too, can’t imagine other actor who can play Byuk Soo character as well as Gong Myung did. From now on, I would like to label Gong Myung as “Noona’s Darling.” His smile is everything. He probably could insure his smile if he want. Though his character in this drama is not that different with his character in “Drinking Solo,” I still find him endearing and not boring in this one. However, I hope he could get himself another character to play in his further projects to improve his potential as an actor. Another point I love from this drama is the music. Since it’s an indie drama so no wonder it filled with indie music. 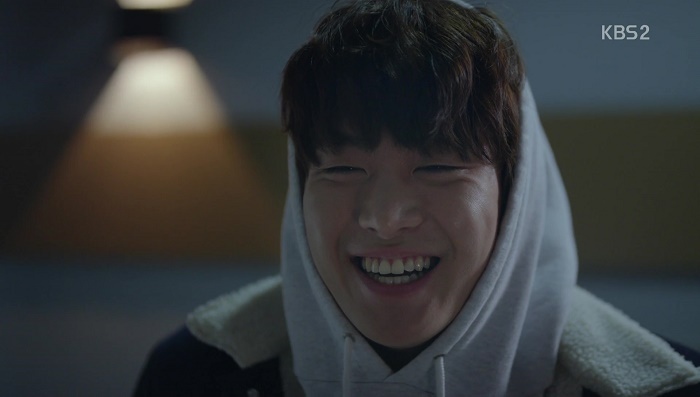 And as you guys know, I’m a sucker for indie songs, especially k-indie, so I can hide my excitement when I heard some familiar tunes playing along the drama. To sum it up, if you are looking for something romantic, unusual, and heartwarming drama, then I highly recommended this one. It’s only two-episode, so you can easily finish it in one sitting.